Mining. Civil. Infrastructure. Drill Pads. Blast Bunds. Gluon™ Water Erosion Control is a water resistant surface veneer formula & treatment method to control soil erosion. 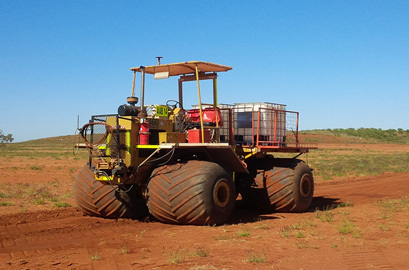 It is ideal for mining, civil and infrastructure projects with areas that relate to fixed site infrastructure or semi-permanent site areas where issues with water run-off/ water erosion affect large civil enbankments, drill pads, blast bunds and areas that require stabilising for site area rehabilitation and permanent operations. Rainstorm Warranty. Gluon holds its value. Gluon™ holds value on projects delivering superior performance designed for short or long term control. Rainstorm Warranty Applications. 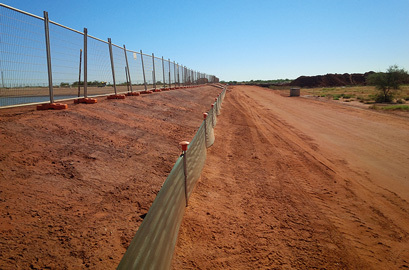 Gluon™ polymer surface mesh binds soil and ore. The bonding chain remains stable and flexible, to fix soil in place.